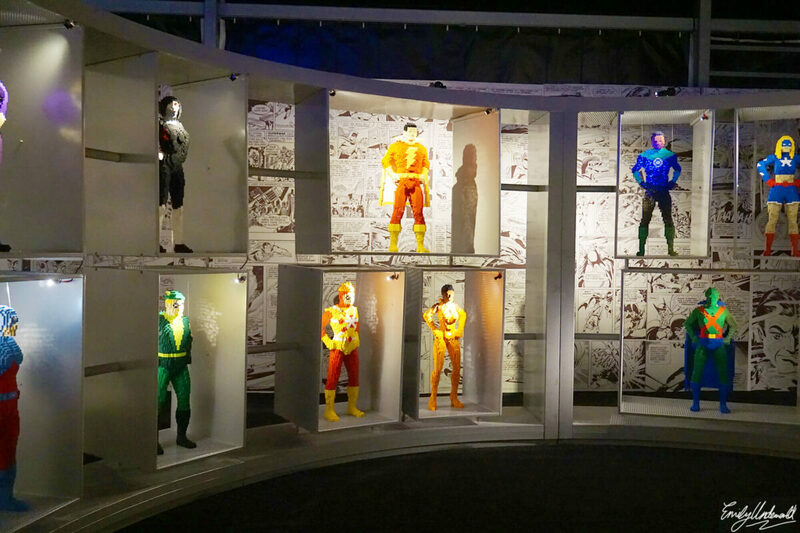 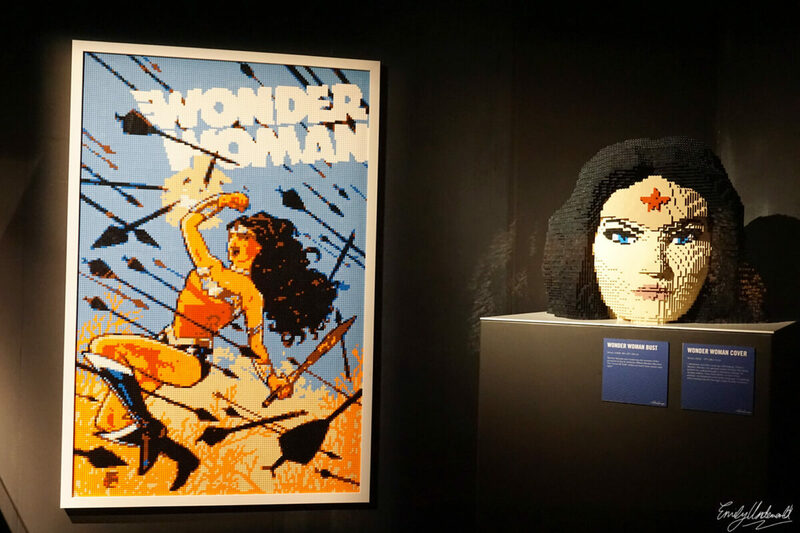 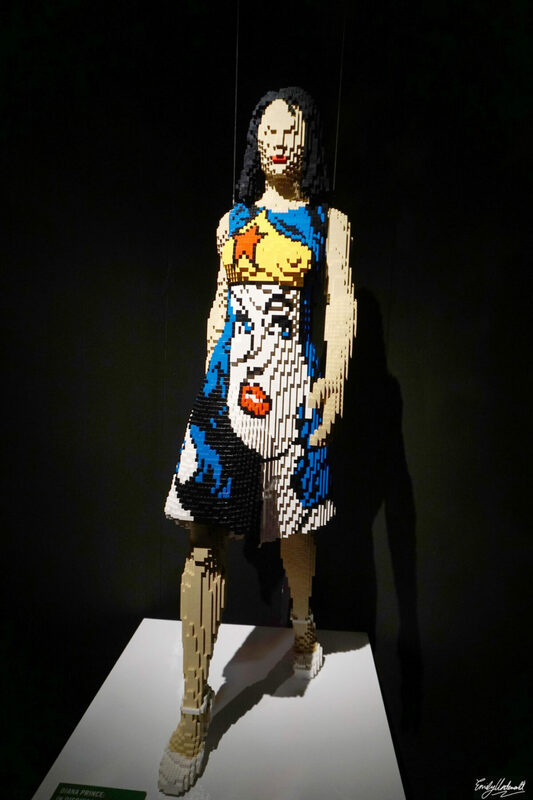 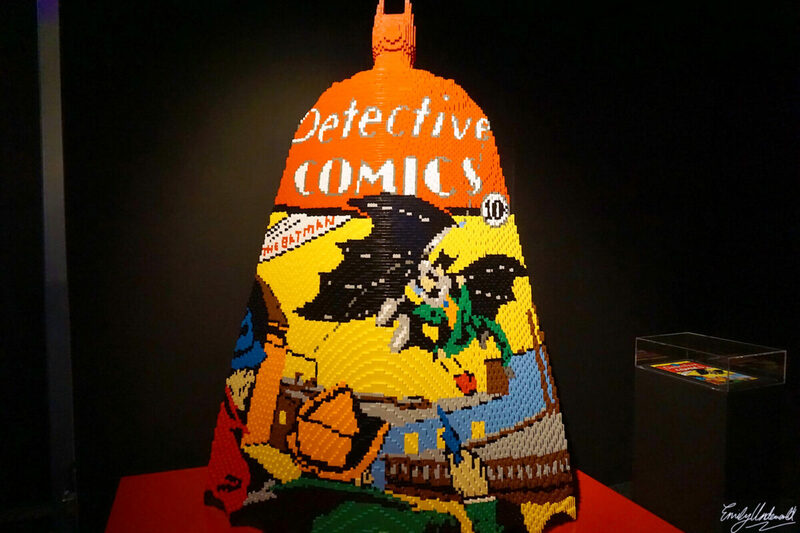 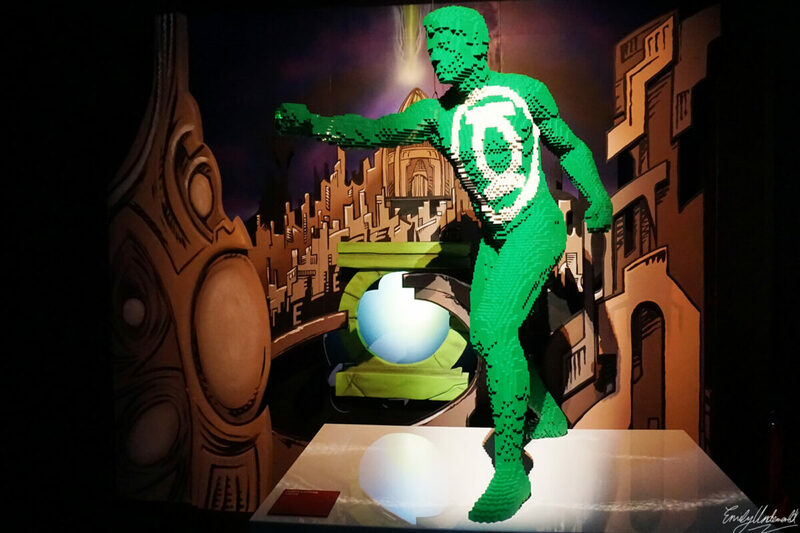 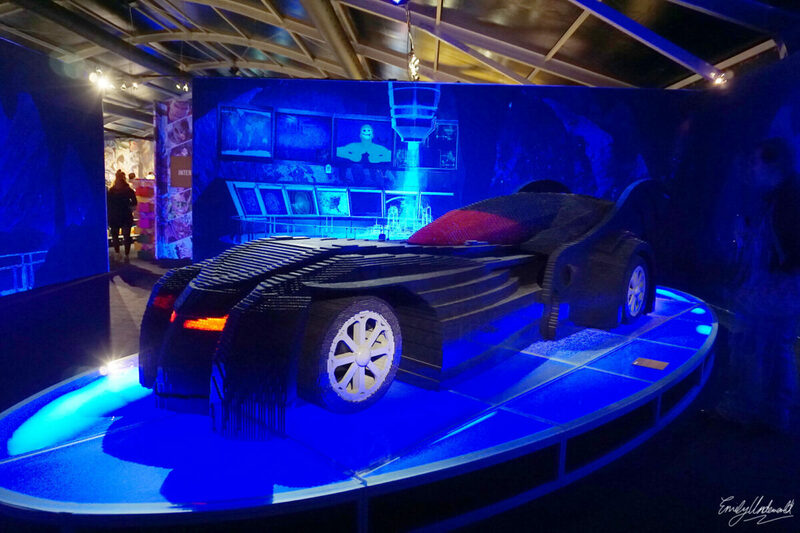 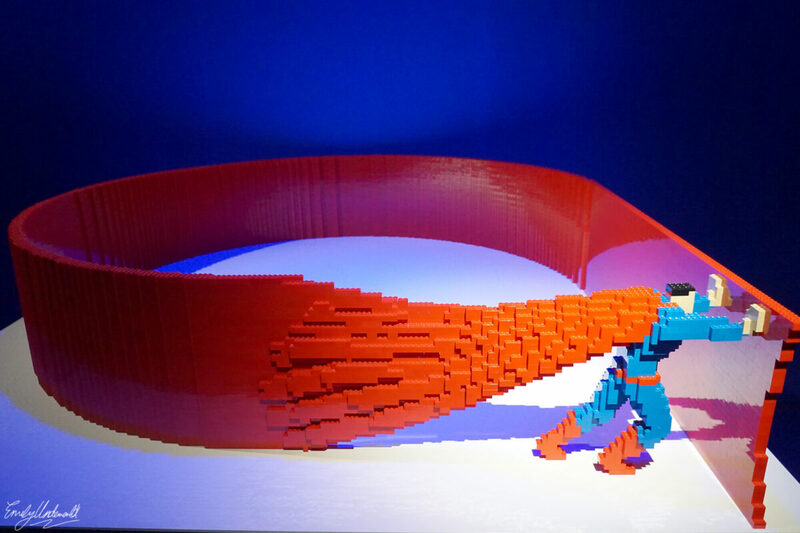 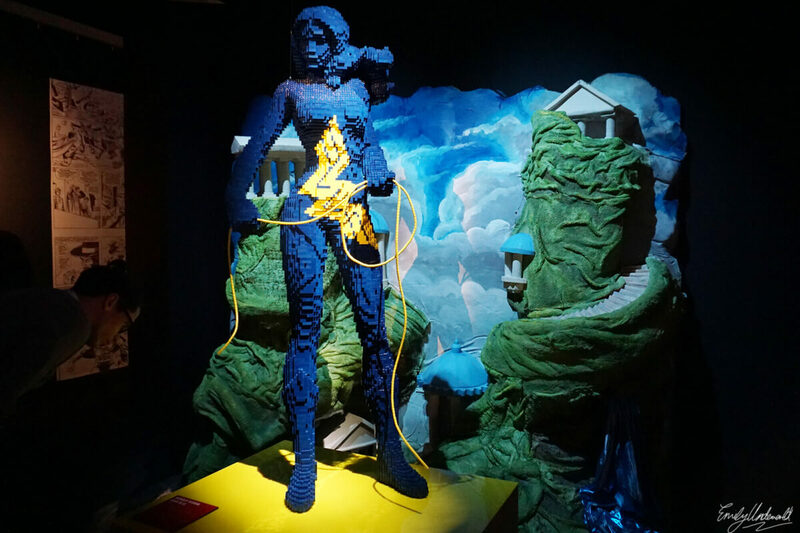 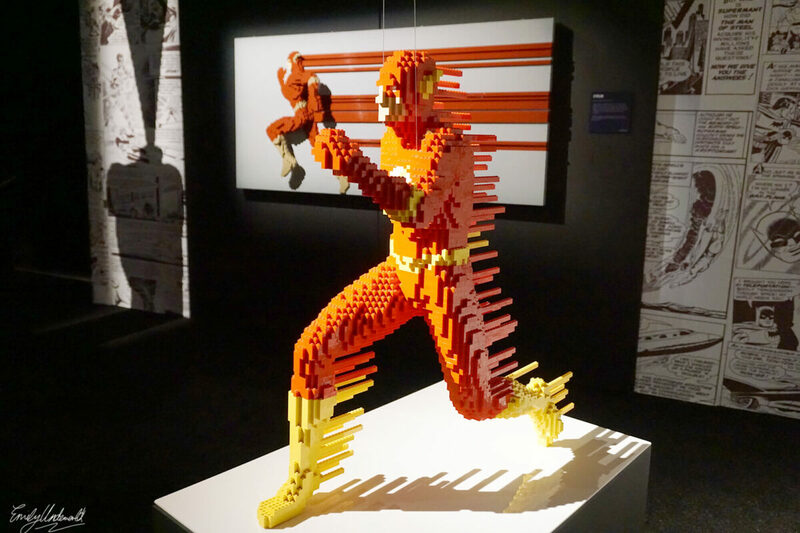 The DC Super Heroes 'Art of the Brick' Lego Exhibition! 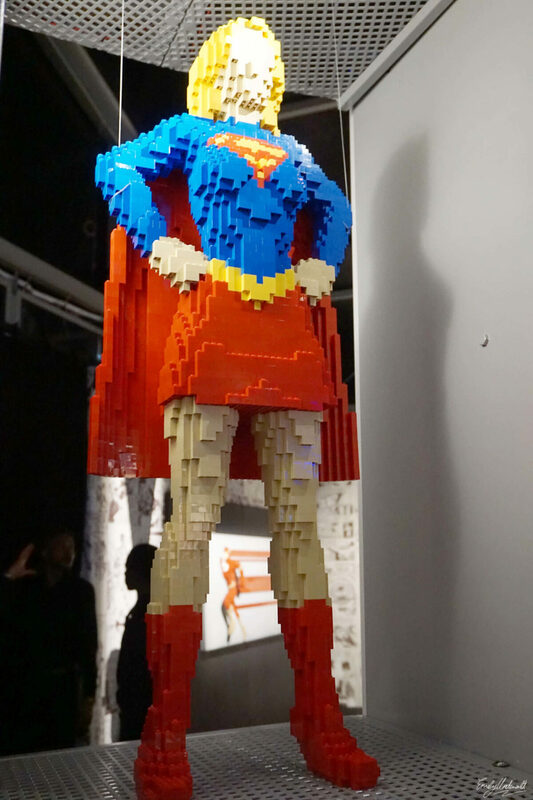 Last week, my boyfriend and I were lucky enough to attend the launch of Nathan Sawaya’s DC Super Heroes ‘Art of the Brick’ Lego Exhibition on the London Southbank. 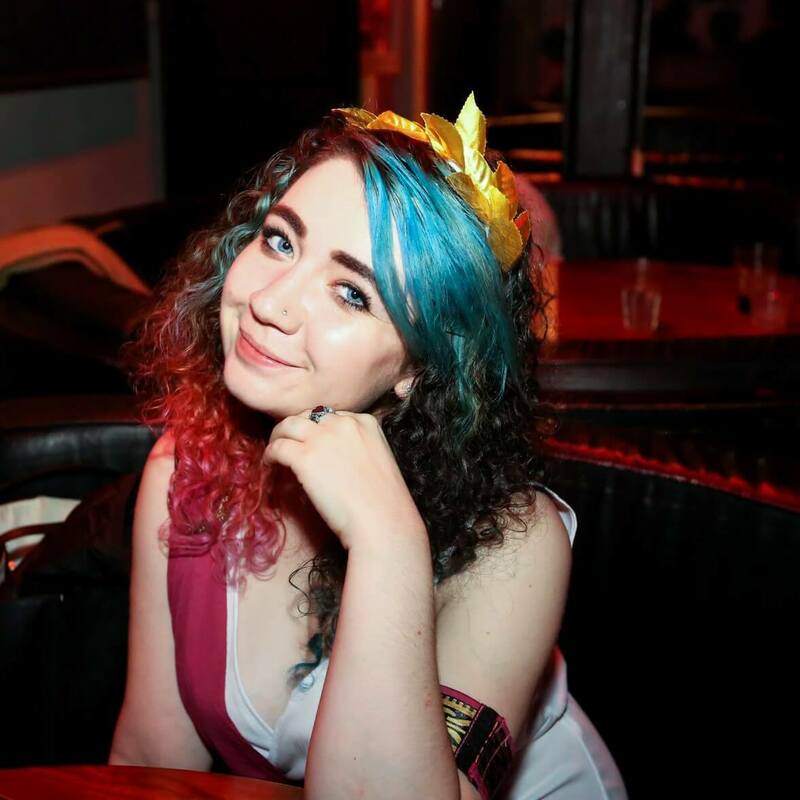 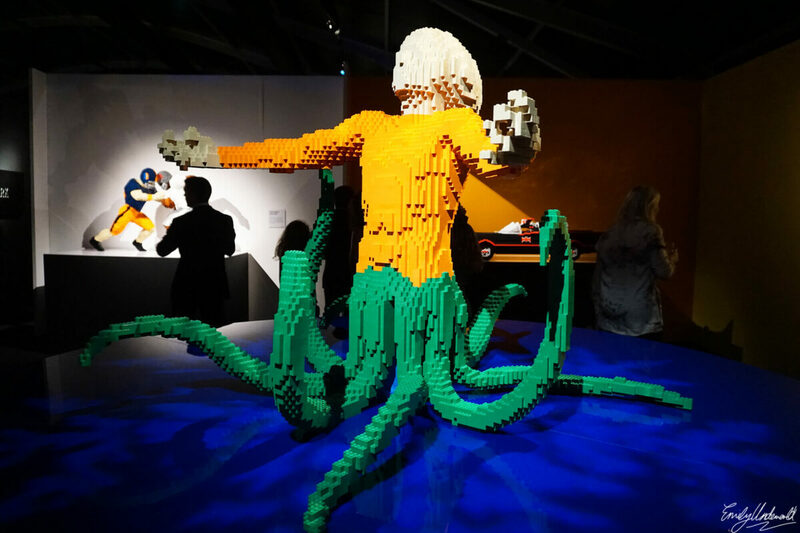 It was absolutely AMAZING – I took a ton of photos, filmed a vlog, and got a little tipsy on the champagne, while we had a gander at the array of awesome lego sculptures. 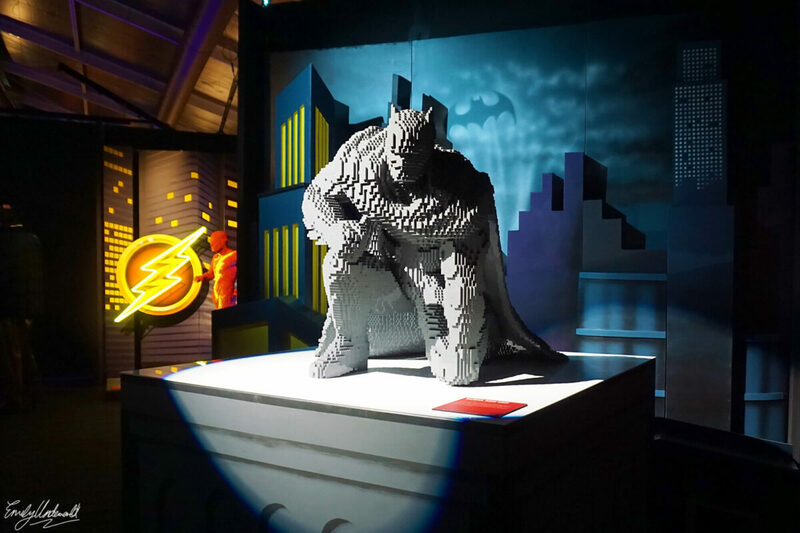 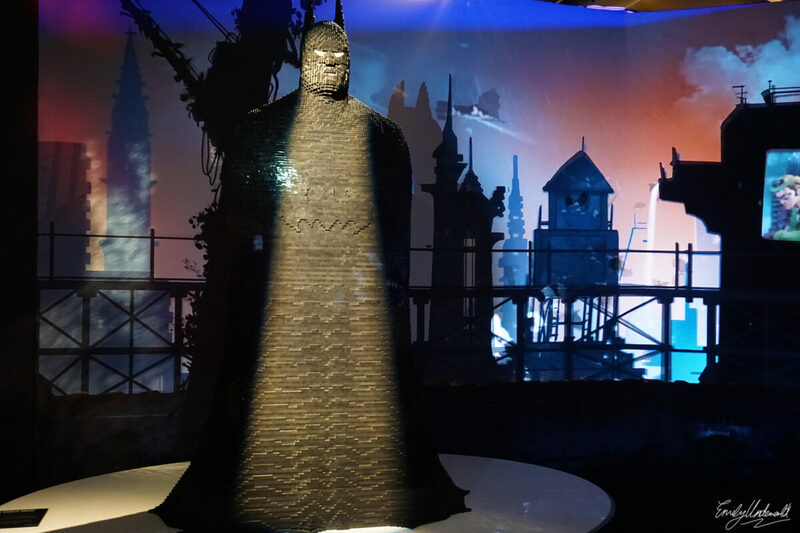 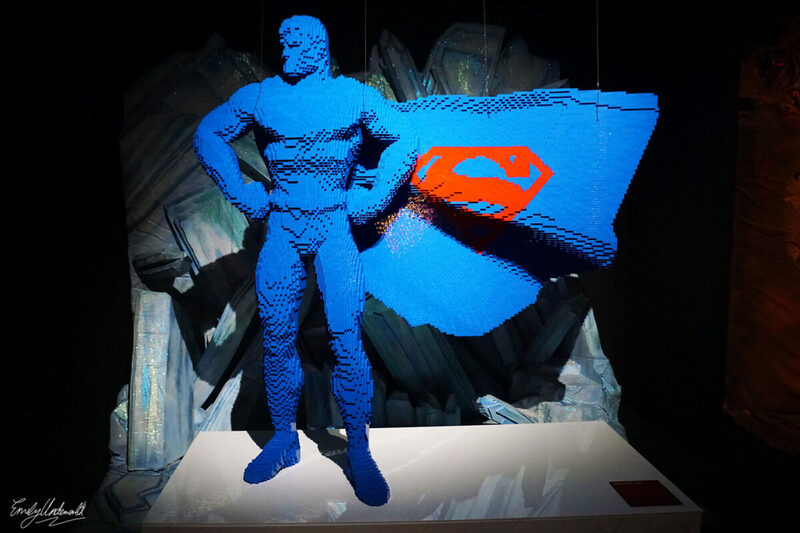 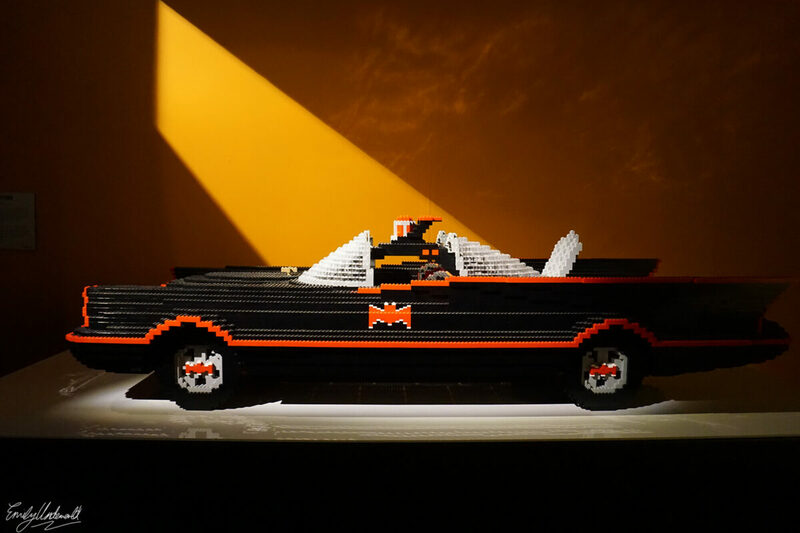 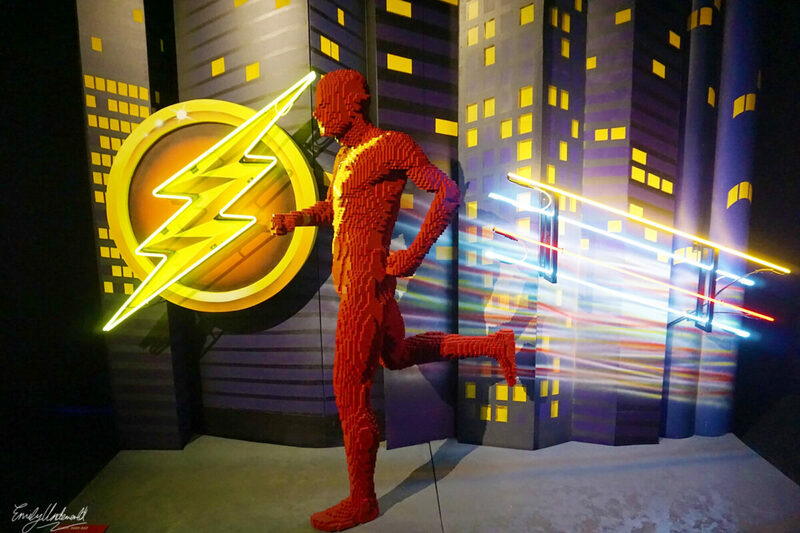 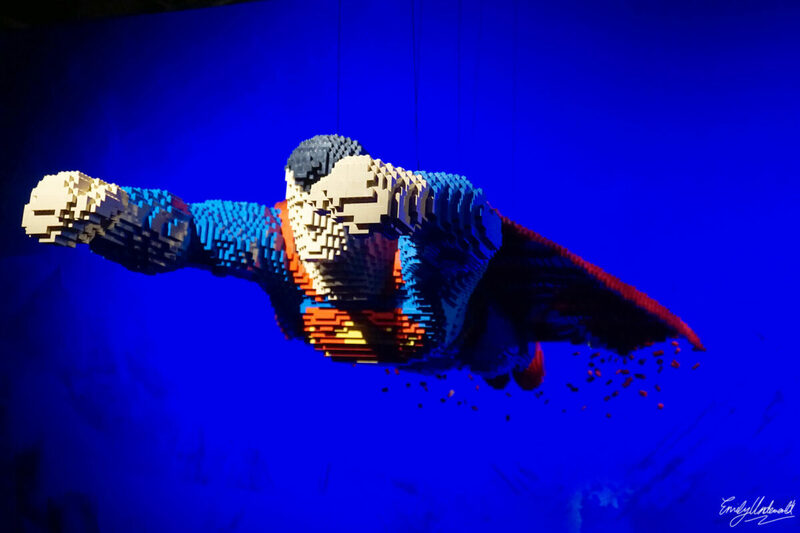 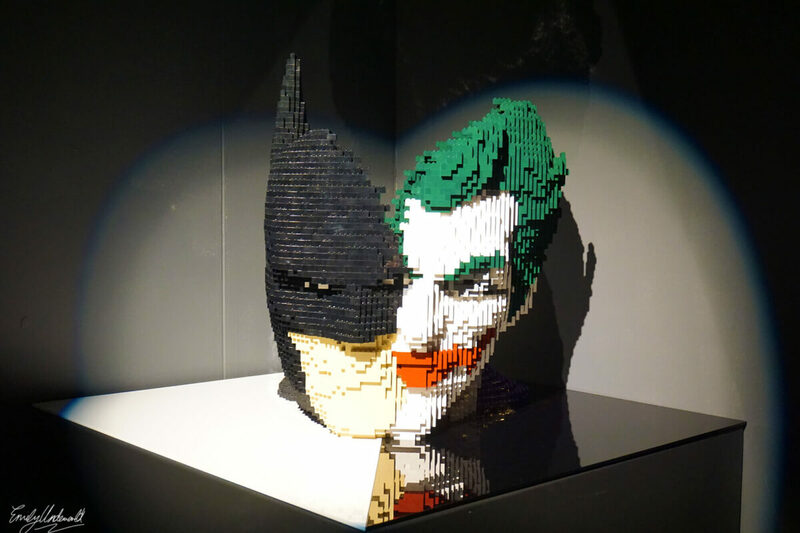 This is certainly not a small show – it’s actually the world’s largest lego exhibition inspired by DC characters, using nearly 2 million lego bricks! 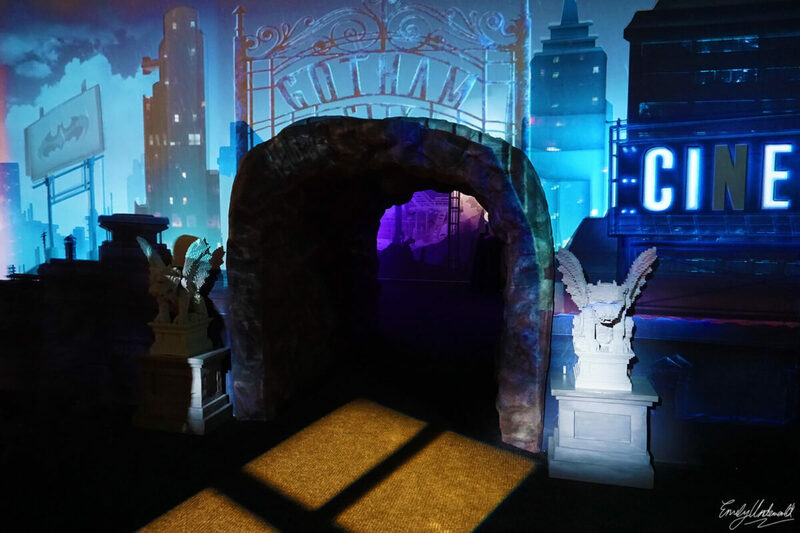 As you’ll see from my pictures below, you can find all of your favourite heroes and villains, including Batman, Superman, Wonder Woman, Harley Quinn, The Joker and more… they even had my favourite Batman bad-guy, The Riddler! 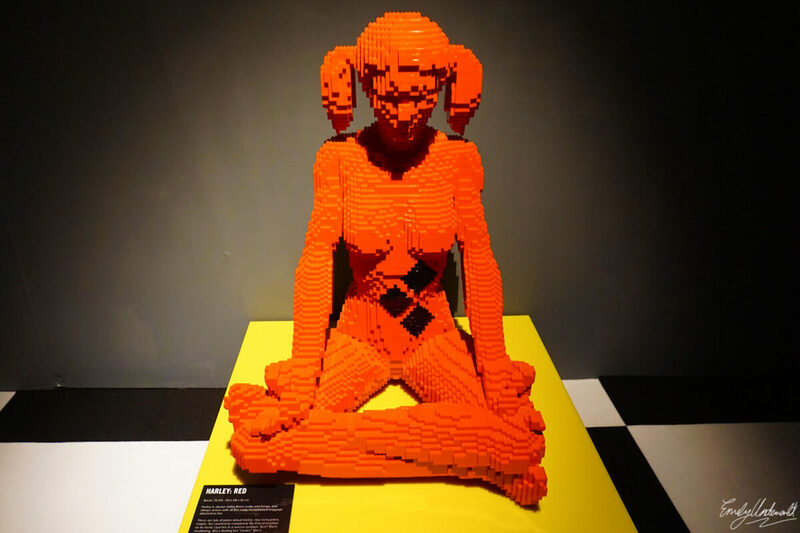 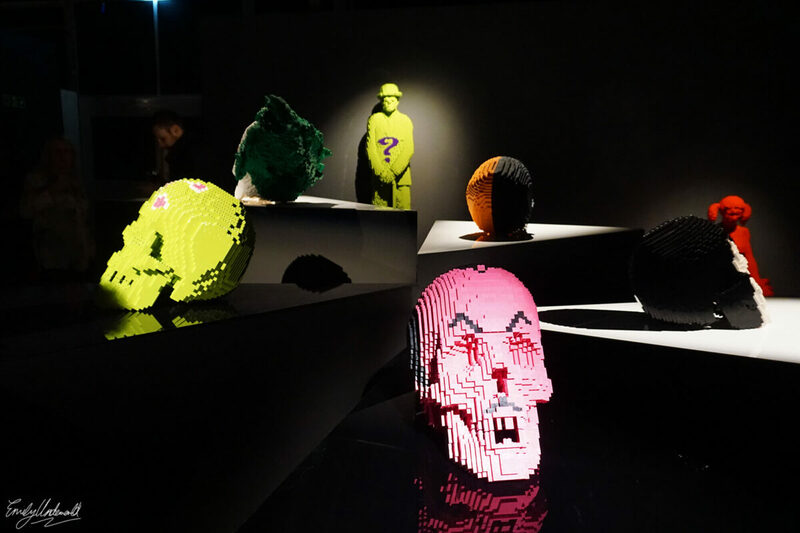 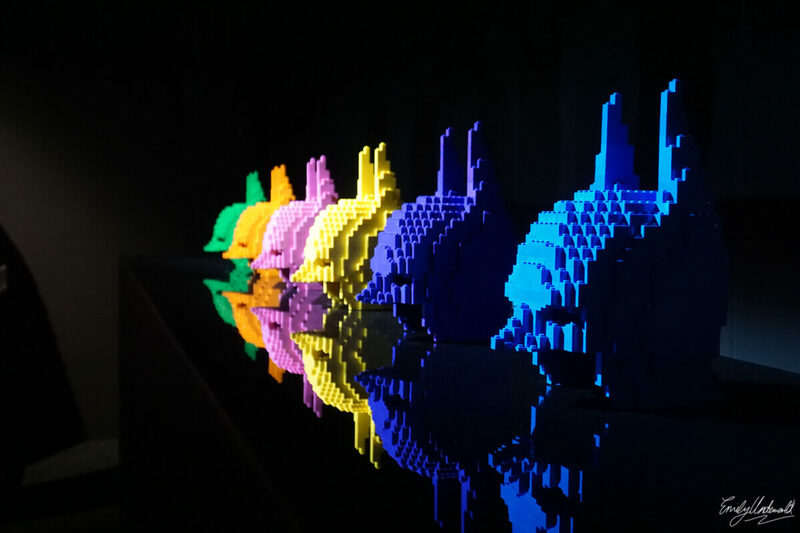 The exhibition is incredibly well-presented; upon arrival, you watch a short video showing the process of making these sculptures with Nathan Sawaya talking about his art, and then you proceed into various themed rooms of all the lego masterpieces. 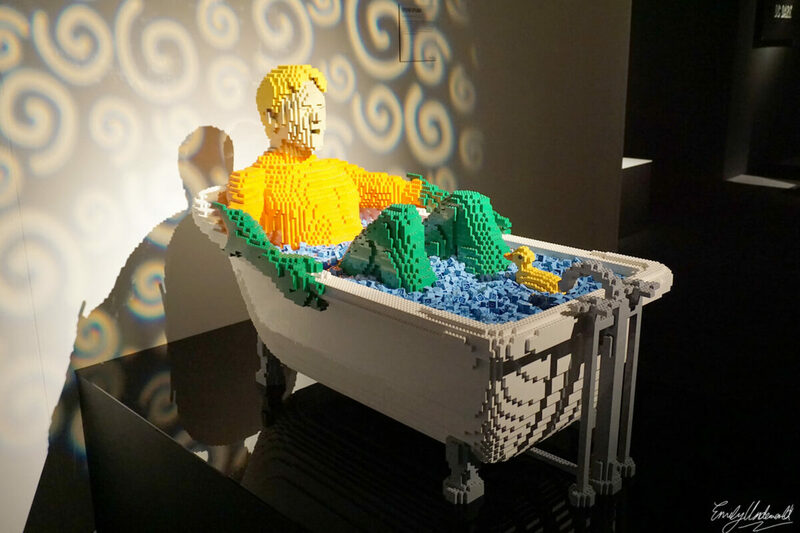 It’s not only portraits here, there are comic book covers, cars, animal friends (yay for Super Dog) … and Aqua Man in a bathtub. 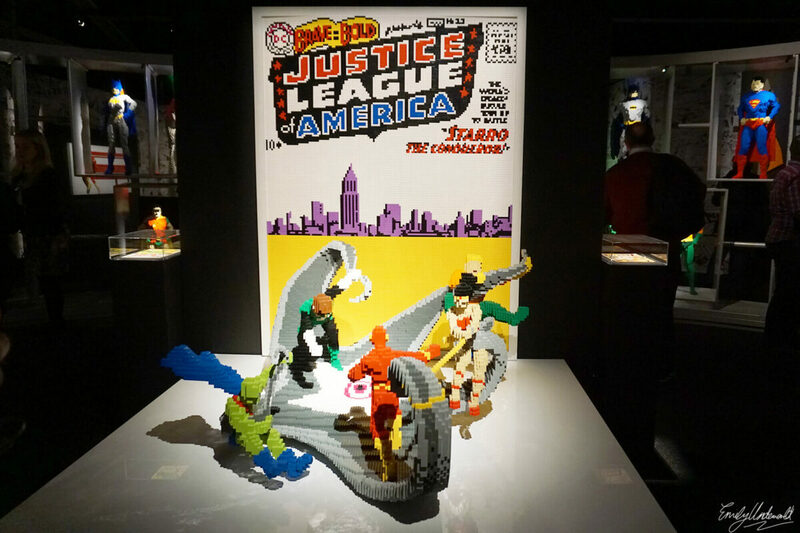 If you’re into comic books, super heroes, DC, lego, or any of that kind of thing I’d 100% recommend checking it out – my little brothers (and my boyfriend’s nerdy science friends) are so jealous. 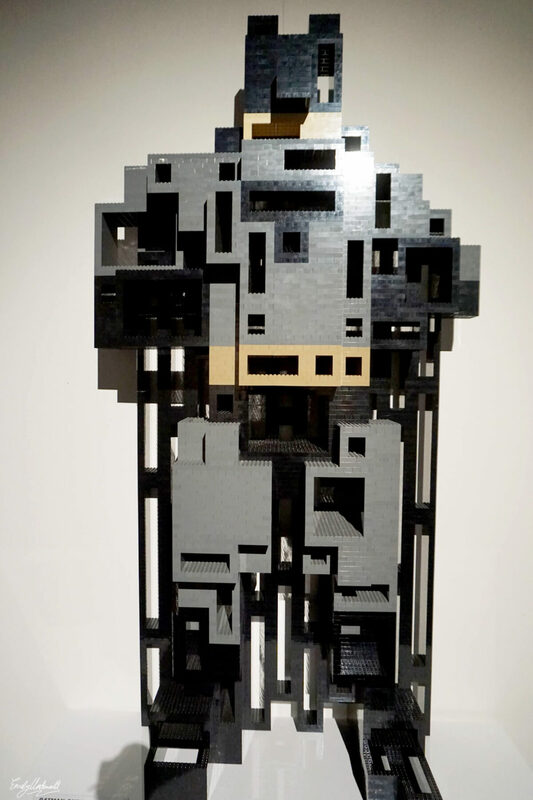 There are honestly SO many more sculptures to see, I haven’t by any means shared photos of everything, because I don’t want to ruin the surprises. 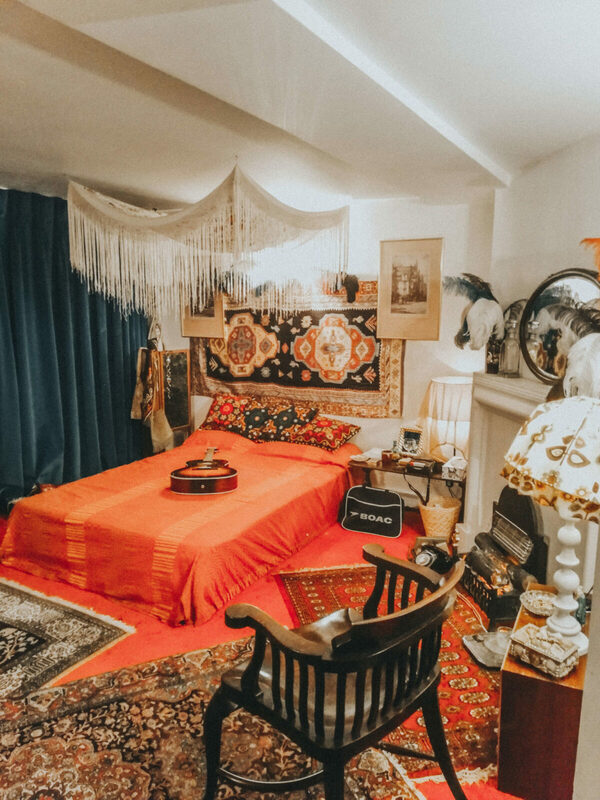 I could certainly go back and spend hours in there. 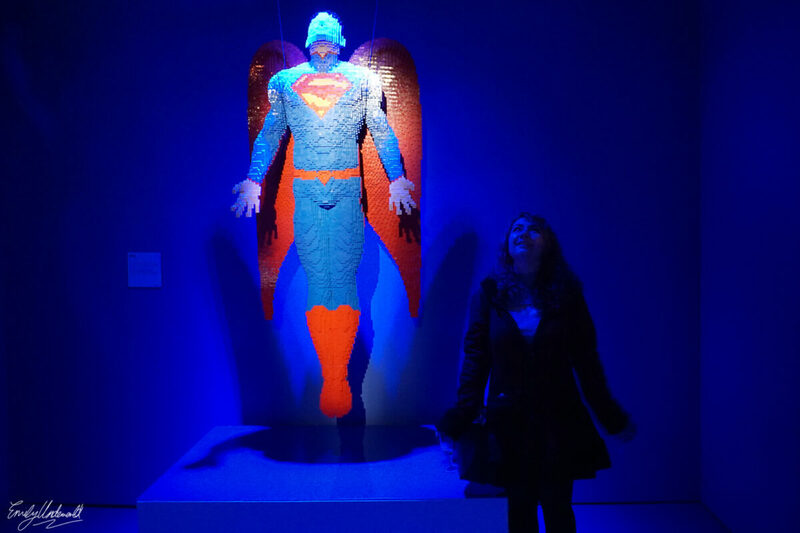 Who’s more angelic? 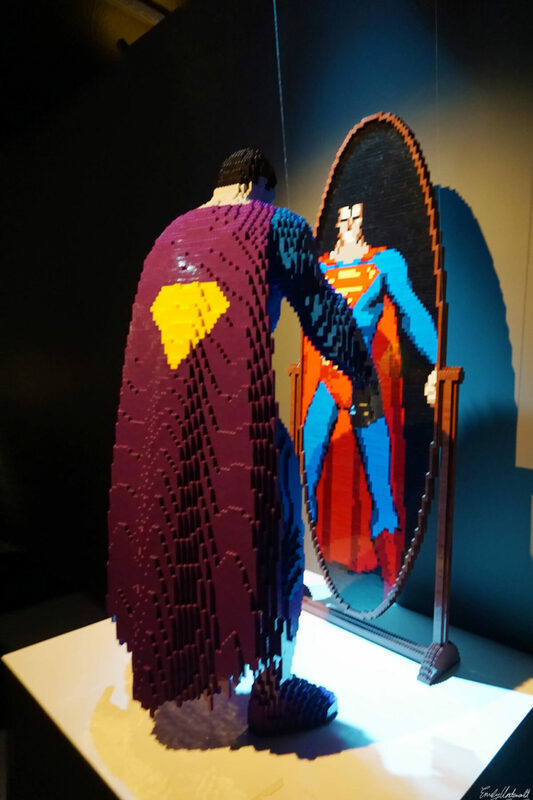 Me or Superman? 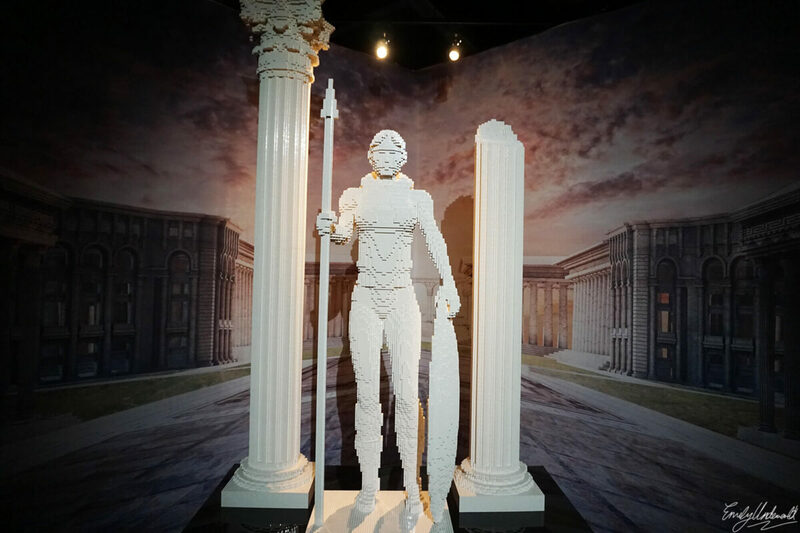 The Classics nerd in me loved this Wonder Woman as an Amazon warrior, complete with Corinthian columns! 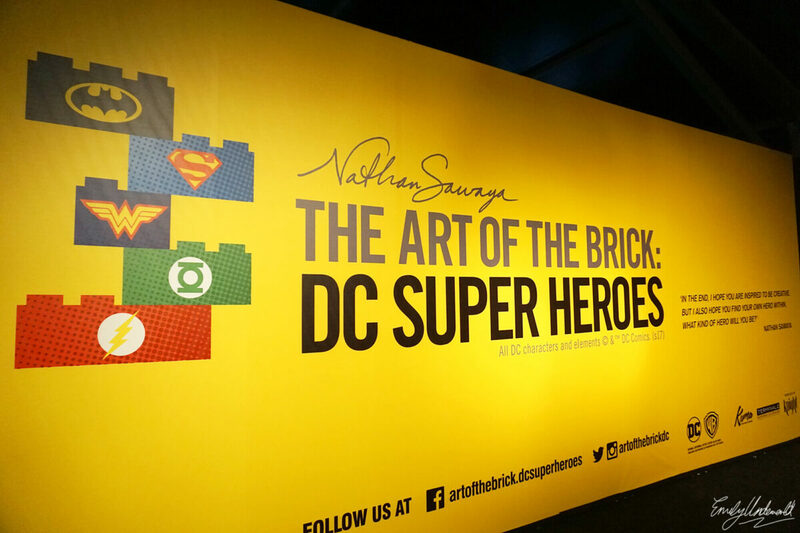 Let me know if you check out the exhibition! 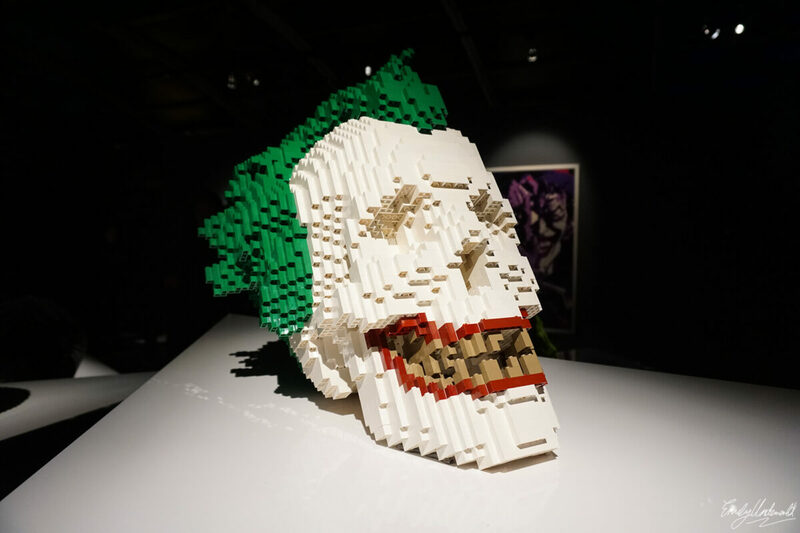 It’ll be open until September 3rd. 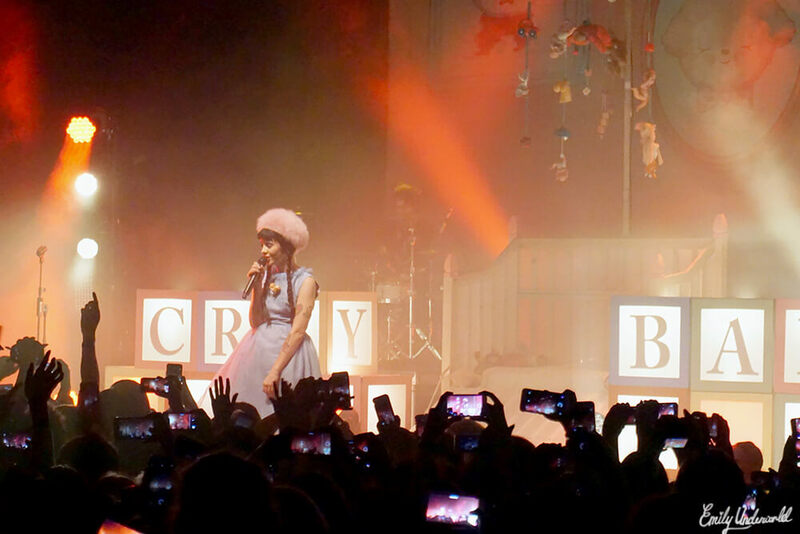 Head to their website here to book tickets. 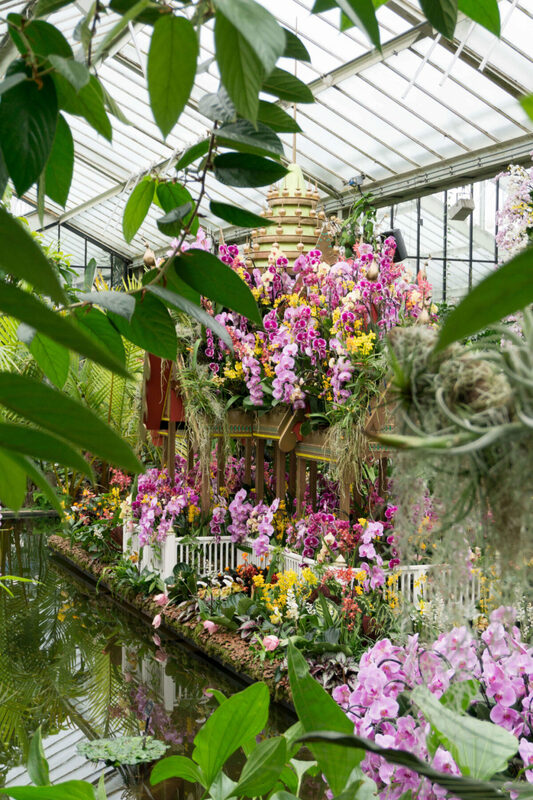 Next Next post: Making a Terrarium at Grace & Thorn with Obby!